Staphylococcus aureus provides information on food borne outbreaks of disease and their impact on human health. It is for anyone interested in the features of the pathogen, and its food safety aspects, as well as its prevalence and possible control and eradication options. This is a practical reference for those in the food industry, but also includes some theoretical information useful for advising. 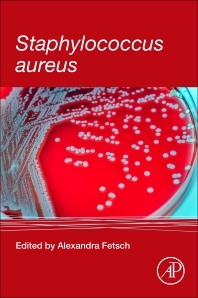 The book introduces detailed features and molecular biology of the pathogen, as well as selective methods of detection, prevention and eradication essential for research. It covers methicillin-resistant staphylococcus aureus for food related industries, information on genetic lineages, cell wall components, cell division machinery, molecular characterization, and capillary electrophoresis for detecting and characterizing staphylococcus aureus. Dr. Alexandra Fetsch, Scientist at the Unit Microbial Toxins, Department Biological Safety of the Federal Institute for Risk Assessment (BfR), a public institute for the Federal Republic of Germany which is responsible for preparing expert reports and opinions on food safety. Dr. Fetsch is a leading expert in foodborne pathogens, particularly staphylococci spp. including S. aureus and conducts research along the food chain focusing on food safety aspects of (Methicillin-resistant and Methicillin-sensitive) S. aureus and public health. She is the lead scientist at The National Reference Laboratory in Germany conducting research in this area.